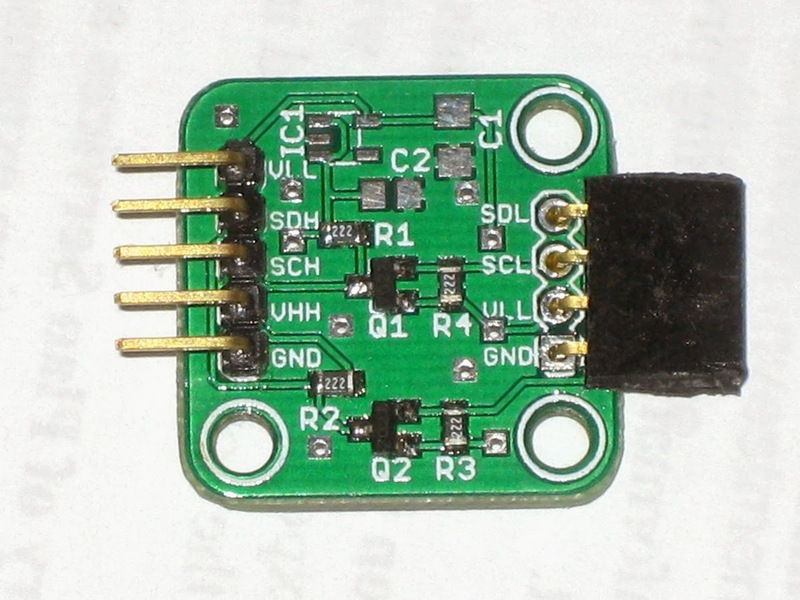 An improved I2C level shifter PCB compatible with the daisy chainable I2C splitter. 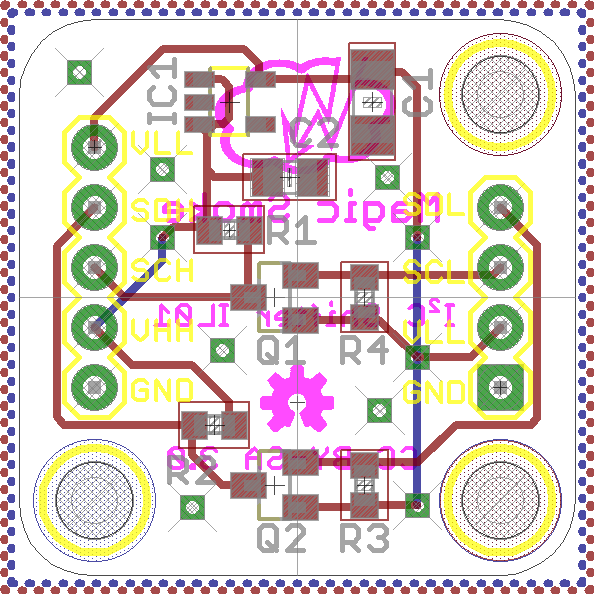 This I2C level shifter, designed following the Phillips application note, offers some improvements over the stripboard version I made earlier. 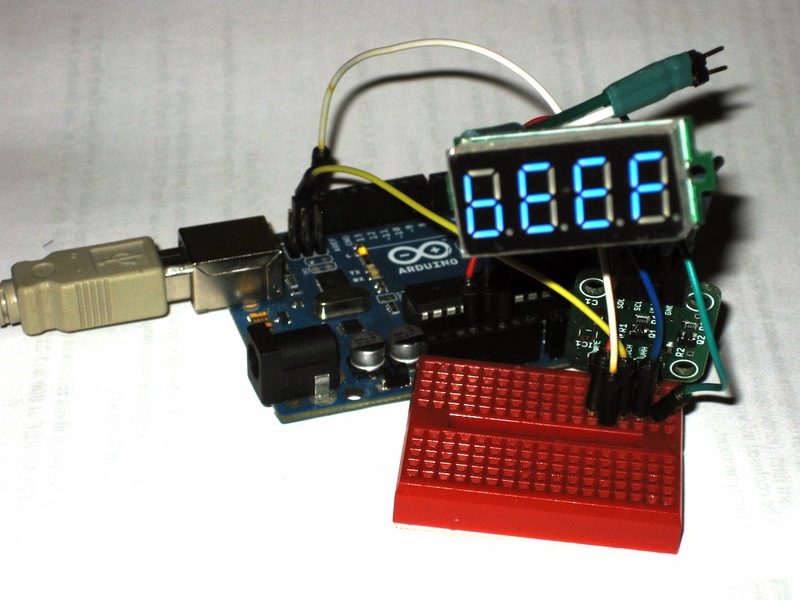 The PCB uses the same footprint and header layout as the daisy chainable I2C splitter and hacked voltmeter (shown here). Low voltage can be supplied on a fifth header pin or using a SOT-23 LDO voltage regulator. The ground pins are connected. The design files can all be found in the Github repo.